At City Chiropractic we use the portable Apollo Class IV cold laser. Laser therapy is the non-invasive use of laser energy to generate a photochemical response in damaged or dysfunctional tissue. Laser therapy can alleviate pain, reduce inflammation and accelerate recovery from a wide range of acute and chronic clinical conditions. 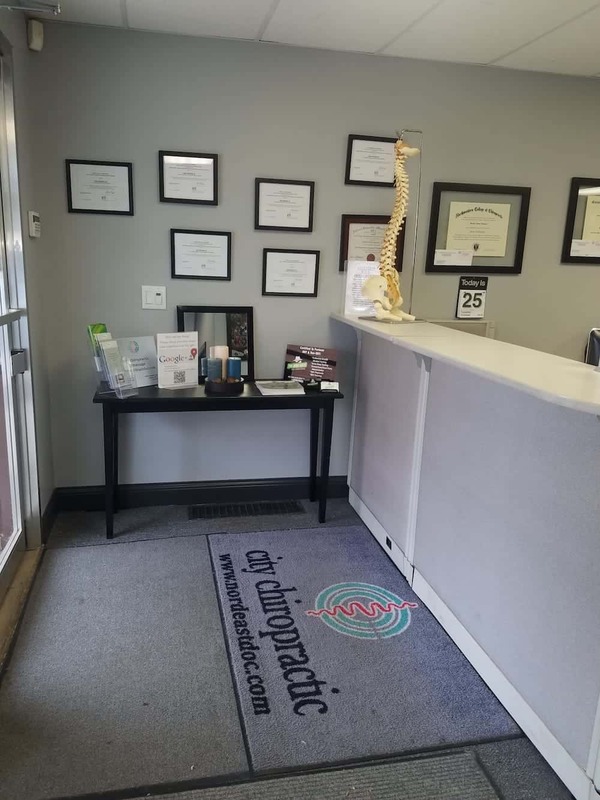 As rehabilitation specialists know, the main goal of treatment for many when treating painful, debilitating conditions is to facilitate improved function and mobility. Laser therapy is a drug-free, surgery-free technique to help make that goal a reality. 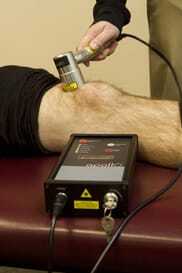 Cleared by the FDA in 2003, Class IV Laser therapy has become standard of care for many musculoskeletal injuries. Many clinicians are confidently incorporating laser therapy programs into their practices due to the growing body of literature supporting the efficacy of laser therapy as a modality to reduce inflammation and accelerate recovery. Cold Laser works by speeding up the “battery” of the tissue cells, which are called mitochondria. When the mitochondria rate increases, all cellular functions speed up too. This shift in energy causes healing to occur much faster, sometimes up to 3 to 5 times quicker. Cold Laser has been used successfully in Europe for almost 2 decades. It has been used in the U.S. quite extensively on race horses for the past 10 years and more recently as an essential pain management tool by athletic trainers in the NFL, MLB, NBA, NHL, FIFA and Olympic teams. Reduction in inflammation by suppressing inflammatory enzymes that create swelling, redness, pain and heat. Enhanced lymphatic drainage, which increases circulation and reduces swelling. Turner, J., and Hode, L. (2010). The New Laser Handbook. Grangesberg, Sweden: Prima Books.